1907 Itala on the South American Challenge February - March 2013: Mardi Gras - A Night to Remember.. 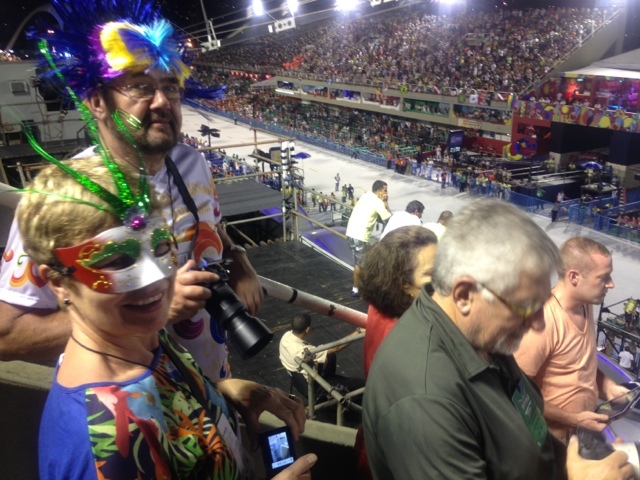 They very kindly organised Sambodromo tickets for us to watch the Samba Parade. We had never seen anything like it. 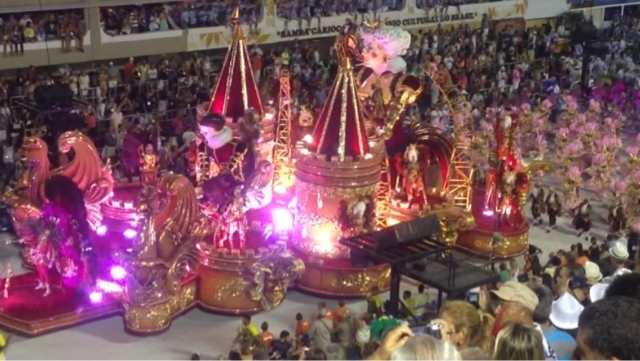 6 Samba 'schools' each paraded for 82 minutes along the Sambodromo. The show started at 9pm. 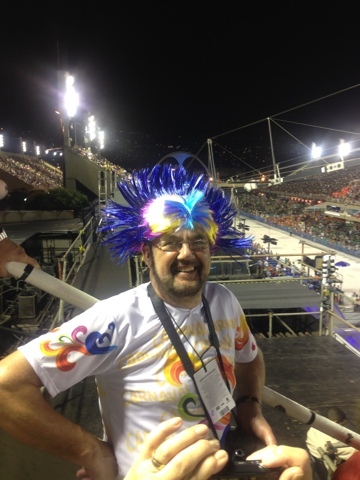 We managed to keep on our feet, waving flags chanting and swaying to the music (David included) until around 2am and then had to meekly creep away before collapsing with exhaustion from the heat!! Certainly a Night to Remember!! So pleased to see you chilling out, there's a long road ahead, have a safe one. 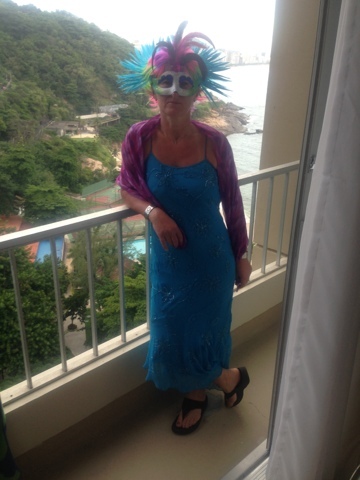 I have just sussed out how the blog works so sorry for the late start at this end of the line.